A Radar Pest Professional is ready to serce you! 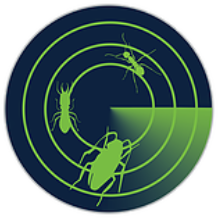 Radar Pest Control is licensed and ready to take on any pest infestation out there. We’re happy to serve you and will always treat you with respect. Radar Pest Control is ready to take on any job, no matter the size. Give the Nambour Pest Control Experts a Call Today! tourism. Unfortunately, pests love this area as well! With ants, spiders, termites, and rodents around, you need to find a professional pest control company to make sure you’re in good hands. Radar Pest Control is the expert you need in Nambour. Ants are social insects that live in tight knit colonies. Furthermore, they live in a rigid caste system that separates ants into scouts and workers, all led by a queen that does all the breeding. A single queen ant can lay hundreds of thousands of eggs in her lifetime! Everyone has had ants at one time or another. Maybe you have them right now. There’s no reason to put up with ants any longer though, especially with the ant professionals at Radar Pest Control around. Combine both Packages (General Pest and Termite Inspection) and save $75.00! *Prices quotes are based on an average sized home. Call us now to book your inspection. It's Time to Get Rid of Pests for Good. indication that you may need a termite inspection or treatment. Schedule a termite inspection if you haven’t had one lately, it will give you peace of mind knowing that even if you have termites, they will be taken care of and treated by a reliablecompany. If you require a termite treatment or monitoring, we have competitive prices and are a top pest management service in the area. There might not be anything worse than seeing a rodent run across the floor in your house. You might not be personally scared of rodents, but you should be scared about what they can do if you don’t get rid of the effectively and quickly. They spread some different diseases that cause sickness and in major outbreaks, death. You don’t need to be stressed though if you have rodents around or inside your home. Simply call Radar Pest Control today and we’ll make sure your rodent issues are in the past. No Pest Problem is too Big for Radar Pest Control.